The holiday season is prime time for online dating. New sign ups surge between Thanksgiving and Valentine’s Day, as millions head to dating sites looking for someone to get through all that turkey and eggnog with. 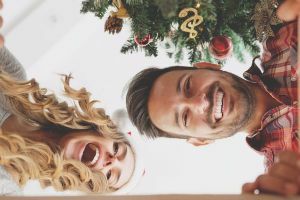 So take advantage of this swell of singles and up your chances of finding love during the holidays with our 4 must-follow rules for dating success. Being on the wrong dating site is a bit like dancing the night away at a really great holiday party - except the cocktails are virgin and the DJ is spinning Vanilla Ice all night long. Yes, all the elements are there - cute singles, an open invitation to initiate - but unless they fit what you’re looking for, the experience won’t be that great. Think about what you want in a dating site, what hasn’t worked in the past, and how to best set yourself up to find your person - and then sign up to the one that fits most of what you’re after. Plus, this kind of matching creates a less overwhelming experience for those who don’t like to swipe through hundreds of profiles. The holiday season is the perfect time to get out of your comfort zone and try new things. Say yes to someone you might’ve initially passed on, send the first message or switch up dinner and drinks for a stroll through the park. Take advantage of your vacation time, embrace the holiday cheer around you and open yourself up to different opportunities. As cheesy as it sounds, the best things really do happen outside your comfort zone. You’ve been on OKCupid for 6 months and it hasn’t been awful but it hasn’t really worked they way you were hoping either. Try a new site, like Match.com or Elite Singles - both great options if you're seeking more substance than what other dating sites offer - or add some new info to your current dating profile. 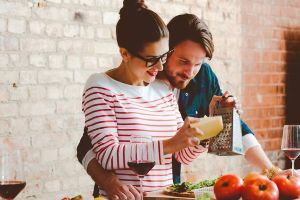 Even just switching out some older photos will breathe fresh air into the whole dating process, which can help a lot if you’re experiencing dating fatigue. It’s almost the new year and that usually means taking stock of the past 12 months and looking ahead. So get rid of nagging vices, extinguish old flames, and put yourself into a more positive headspace. Release your inhibitions, take charge of your life and get out there and make things come to you. And when they do come to you, take the reigns and embrace it all. Because finding love online isn’t for a select few - it’s been proven time and again to be one of the best ways to meet people and form long lasting relationships. It’s all about how you approach it, and making it work for you. So this holiday season take a new approach to online dating. And if you need a little more help getting started, we’re here for you. Check out our reviews of the best dating sites around and see who’s out there.